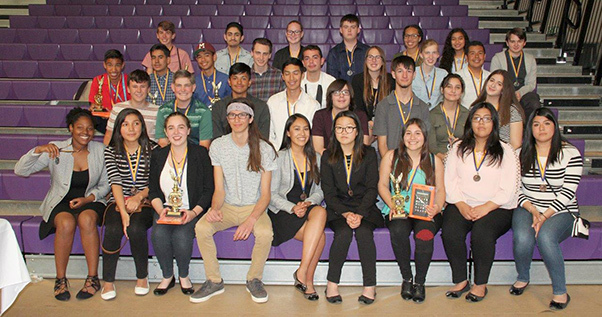 Happy winners: Students pose with their well-deserved awards during the third annual Antelope Valley Union High School District STEM Expo at Eastside High School. 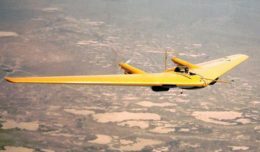 Theories and experiments covered many aspects of life including life on Mars, how an egg can be helpful in learning about osmosis and kidney dialysis, and how to build a filter to save marine life from dangerous oil spills. Approximately 125 students participated in the third annual Antelope Valley Union High School District STEM Expo at Eastside High School where they competed in seven categories: Environmental Agricultural Innovation, Invention, Reverse Engineering, Rube Goldberg, Robotics and Computer Science, Science Fiction and Scientific Inquiry. Students came up with projects that answer practical, everyday questions such as, “What makes the best homemade fertilizer?” and “What toothpaste whitens best?” They discovered that egg shells, coffee grounds, banana and orange peelings work better than Miracle-Gro and that Coke is one of the worst products that stains teeth; however, Arm and Hammer is the best toothpaste to brighten those Coke-laden smiles. 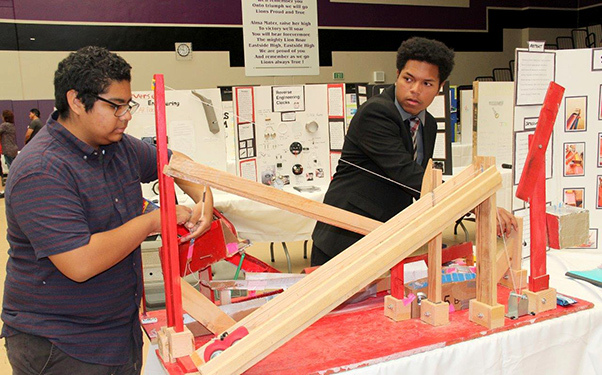 Alexander Garcia and Major Ortiz, sophomores at SOAR High School, demonstrate Rube Goldberg using ten transfers of energy during the third annual Antelope Valley Union High School District STEM Expo at Eastside High School. Ortiz surprised his mother on her birthday when the contraption “dropped” her a gift. Both students would like to work for Northrop Grumman or Lockheed Martin. Devon Woolston and Joey Beam, sophomores at Quartz Hill High School, won the grand prize with their laser engraver that they created by scavenging parts from a computer’s CD player, DVD player and a few other items costing a little over $20. Using Python and a Raspberry Pi Computer, the team came up with a laser to engrave paper. Prizes included trophies, medals, MacBook Air computers, Amazon Kindle Fire tablets and huge bragging rights. 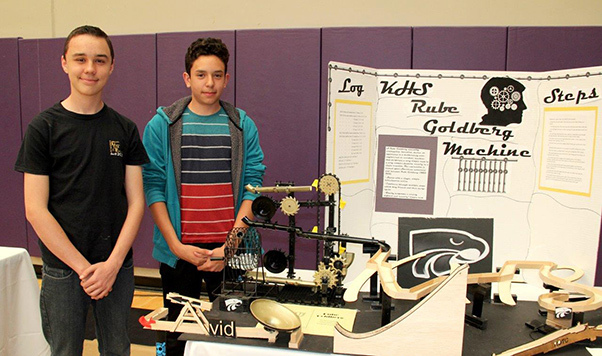 Dylan Clayton and Osiel Albarran from Pete Knight High School used their engineering and design skills to build a Rube Goldberg machine.